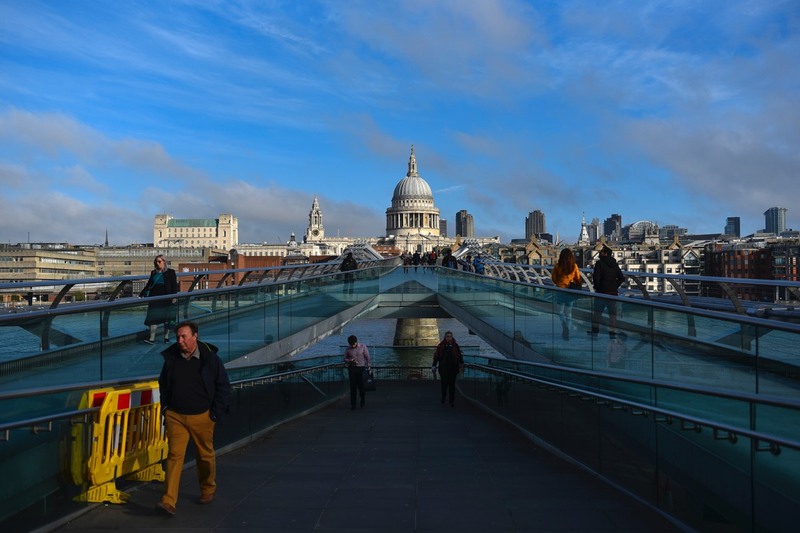 When London’s Millennium Bridge first opened in June 2000, the city was alarmed to discover that the motion of crowds of pedestrians crossing it gave rise to significant shaking and swaying. Londoners nicknamed it “Wobbly Bridge.” Officials shut it down after just two days, and the bridge remained closed for the next two years until appropriate modifications could be made to stop the swaying. It’s not an entirely unknown phenomenon: there’s a sign dating back to 1873 on London’s Albert Bridge warning military troops to break their usual lock-step motion when crossing. The culprit was not Millennium Bridge’s design. Rather, it was due to a weird synchronicity between the bridge’s lateral (sideways) sway and pedestrians’ gaits. A new paper in Biology Letters sheds further light on this by simulating the biomechanics of large crowds of people walking on a bridge. While there have been many different approaches to studying these fascinating dynamics over the years—including a lab-based treadmill recreation of people walking across Millennium Bridge by Cambridge University engineer Allan McRobie—this is a significantly improved model of how people adjust their gait when walking on a wobbly surface, according to co-author Varun Joshi of Ohio State University. It suggests that one might not even need synchronization to cause the shaking.